Developer: Ecco Development Pte. Ltd. Nearby Key Amenities: Tanjong Katong Complex, City Plaza, Shop N Save, Ras Minimart, Eunos Minimart, i12 Mall, and several eateries. Singa Hills will take condominium-living experience to a higher level. Because of its close proximity to numerous MRT stations as well as lifestyle establishments, it will be easy for you to feel the convenience while living in District 14. Facilities: different types of gardens, waterfall crest, swimming pools, pool deck, pavilion, sunset lawn, spa, children’s playground, and many others. Nearby Key Amenities: Nex Shopping Mall, Ntuc Fairprice Xtra, various primary to junior college schools. Located at Bartley Road, you can experience that much-needed tranquility here at Botanique @ Bartley. Aside from the currently available facilities nearby, there will be more projects that will soon rise near this development to make you life more convenient whatever your needs are. Developer: RH Tampines Pte. Ltd.
Facilities: yoga room, children’s playground, swimming pool, aerobics room, reading room, spa, onsen, BBQ area, function area, sky pool and many others. Nearby Key Amenities: Cold Storage, NTUC Fairprice, Shop N Save, numerous primary schools to high schools. With just a few minutes away from the MRT stations, Trilive is the ideal place to live or have your investment. It is also close to various lifestyle establishments and gastronomic delights in District 19. Aside from the amenities and the greenery, Trilive will also open shops within the development to make things more convenient for its future residents. Developer: Oxley Viva Pte. Ltd.
Facilities: will have various stalls for shopping, dining, services and many more that will make living at NeWest convenient for the residents. Nearby Key Amenities: Clementi Woods, Kent Ridge, West Coast, and Telok Blangah National Park. While there will be residential units at NeWest, there’s also about 141 commercial spaces that will make life easier and more convenient for the future residents. It will include restaurants even for your late night cravings, retail shops, kiosks, and even business centers as well. Facilities: about 7 main pools, 50-meter lap pool, pavilions, thematic gardens, function rooms, water cabana, park villa, and aqua-gym. 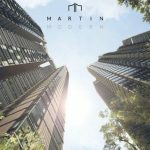 Aside from the residential area, North Park Residences, which is located in Singapore District 27, will also be integrated with all the conveniences needed such as retail and transport hubs. Not only that you can easily shop around, buses and trains that would take you anywhere in Singapore will also be accessible as well. It will have the luxurious amenities that you will need and more so you don’t have to look for a lavish resort-like experience anywhere else. Facilities: playground, gymnasium, swimming pool, function rooms, and many more. Nearest Transport: Cambodia Railway Station, Phnom Penh International Airport, Preah Sihanouk Blvd, and Preah Norondo Blvd. Definitely a 5-star development, The Peak at Cambodia will be highly accessible to the gates of Shangri-La Hotel and its amenities. There will be also hundreds of commercial units that will be within the shopping mall of the said project.